CINCINNATI -- Cincinnati's Minority Business Accelerator has again gotten national recognition. The New York-based Surdna Foundation just awarded another major grant to the accelerator, which is housed at the Cincinnati USA Regional Chamber . This latest grant is for $300,000 over the next two years. With that award, the foundation has awarded a total of $700,000 to the Cincinnati program since 2013. "It's a badge of honor," said Darrin Redus, vice president of the Minority Business Accelerator, known as the MBA for short. "It's certainly a validation of our work and a validation of our progress." Business and community leaders launched the MBA in 2003 as a response to the city's 2001 riots. It was Cincinnati's way of trying to address the economic disparities that community leaders determined were among the root causes of the riots. The program's goal is to grow sizeable minority-owned companies to increase economic opportunities for Greater Cincinnati's minority residents. Companies that receive services from the MBA, known as "portfolio companies," must have either a black or Hispanic owner, annual revenue of at least $1 million and must have potential for growth. The program has 32 portfolio companies, and those companies have combined annual revenue of more than $1 billion. The MBA's work aligns well with one of the core missions of the Surdna Foundation, said Jose Garcia, a program officer with the foundation's Strong Local Economies program. "We think that an inclusive economy is not only good for minority business but that it's also good for the country," Garcia said. "We are looking for ways to create jobs in the minority community at the same time we are accelerating the growth of minority companies." Garcia called the MBA "one of the stellar accelerators around the country that are helping to grow larger minority businesses to their next scale." The Surdna Foundation first heard about the MBA when it was doing work in Cleveland, said Shawn Escoffery, the foundation's Strong Local Economies program director. "In our universe, people were talking about the work that the folks at the Cincinnati chamber were doing," he said. There are other accelerators around the country that are working to grow minority-owned businesses, too. But Garcia said Cincinnati's MBA has an impressive track record in terms of job creation and helping to grow local black- and Hispanic-owned firms. "At the same time, they're building a pipeline of those organizations," he said. "The issue with minority businesses is that we don't have a lot of companies that have $1 million in receipts." The Cincinnati USA Regional Chamber hired Redus in January to run the program after the former MBA vice president left. 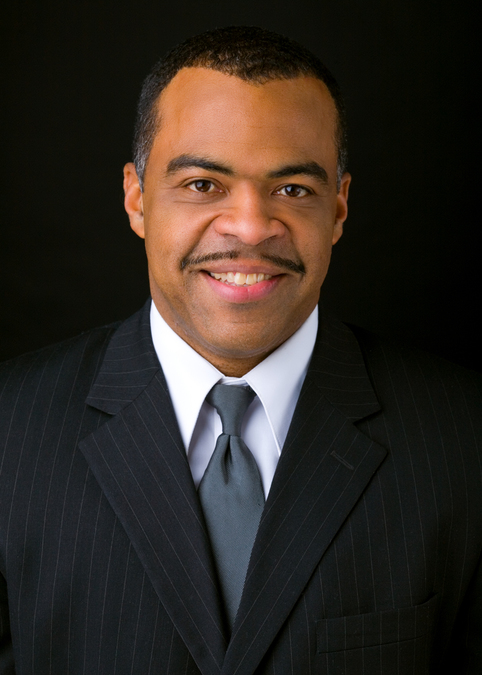 Redus is a former commercial banker who also had experience in minority business development. That background appeals to Surdna, too, because Redus knows how to advise minority-owned businesses about growth through such strategies as mergers and acquisitions. Garcia said. "We definitely see them as one of the better accelerators out there and one where others can learn from," Escoffery said. And that's exactly what Surdna wants the MBA to do with the grant money -- help other communities replicate the success of the accelerator to grow minority-owned businesses and create jobs, he said. Redus said the MBA would do that by first helping the program's portfolio businesses reach the next level and then by showing other cities what has worked best. "This further supports our desire to be a national model," Redus said. "And to partner with an organization like Surdna who routinely looks for national models really just says we're heading in the right direction." For more information about the Surdna Foundation, click here . For more information about the Minority Business Accelerator, click here . Lucy May writes about the people, places and issues that define our region – to celebrate what makes the Tri-State great and also shine a spotlight on issues we need to address. She has been writing about women- and minority-owned businesses in Greater Cincinnati for more than 18 years. To read more stories by Lucy, go to www.wcpo.com/may . To reach her, email lucy.may@wcpo.com . Follow her on Twitter @LucyMayCincy.